"It's not fair! You treat them better than me! You did not follow the rules!" Have you ever been frustated by comments such as these by your employees? Remember the individual's perception is their reality and any accusations of unfair treatment need to be dealt with quickly. Would you struggle to handle a grievance because you are unsure of the proccess and how to handle them correctly? Do you bury your head in the sand because you are fearful of the law and its consequences? Or do you believe "We don't need grievance procedures because our company is too small and anyway we have a happy contented workforce."? In any business, an employee may have concerns or complaints that they wish to bring to your attention. It could be about their work, employment terms, working conditions or a breakdown in their relationships with colleagues. They will expect you to address these issues and help them resolve their grievance. The consequences of not dealing with an employee's complaint in a fair and reasonable manner could result in their resignation or even a claim through the Employment Tribunal. It is never good to lose any employee this way when it just takes a few reasonable and fair steps to resolve the situation. If you don't have written procedures or worse still, have them but fail to follow them, an Employment Tribunal awarding against you could increase compensation to the employee by 25%. 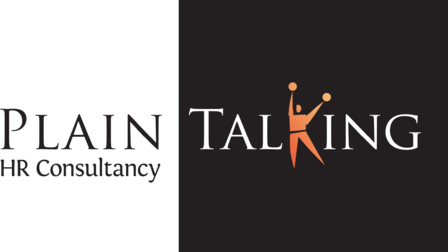 At Plain Talking HR we offer a FREE first consultation. This can be used to discuss how to resolve a grievance issue that you're currently experiencing. Or the time can be used to discuss putting into place relevant policy and procedures. Then when problems occur in future, you can nip them in the bud. At Plain Talking HR we will avoid formal grievance procedures wherever possible by addressing problems as soon as they arise. Grievance procedures will be relevant to your business and be asy to follow. The aim is to settle any grievance fairly and quickly.